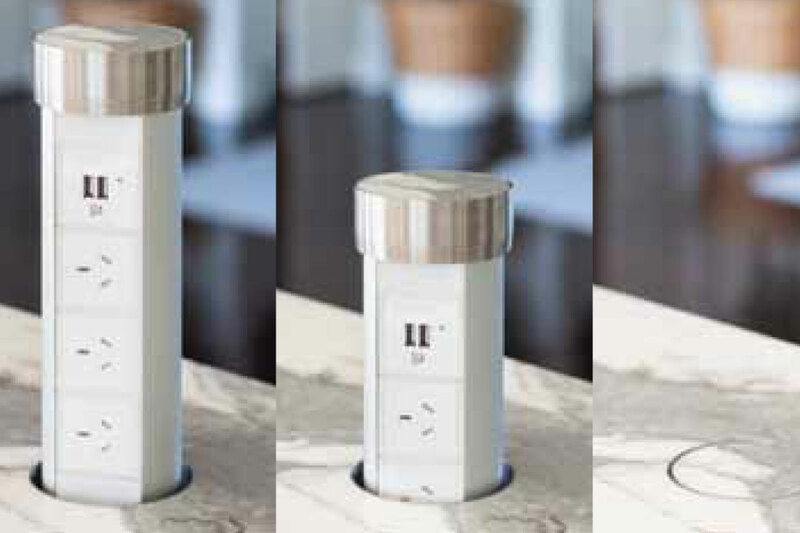 Point Pod’s latest on-trend product to hit the market will solve all of your power problems. Showcasing innovative modern design, point pod units are fully integrated power-socket systems that seamlessly blend into your countertop. With one simple touch, you can easily access point pod power points and USB sockets from underneath your bench space, which allows you to conveniently stay connected when you need it most. Perfect for kitchens, bathrooms, offices and boardrooms, point pods are the ultimate power solution. For more information about how point pods work, visit the website.